We produce a number of reports and publications for the community, these can be accessed below. Townsville is the northern gateway to Queensland. Our well-built city connects people to their community, via an active lifestyle that is enjoyed by all who live and visit. We are leaders of positive environmental action. We are acclaimed for our business entrepreneurship, government enterprise, innovation, technology and cultural stewardship. In 2010 we embarked on our largest community engagement process SpeakUp Townsville with more than 7,000 community members provided comments, ideas, and visions on how they would like Townsville to be in the next 10 years and beyond. This community input has formed the bases of Leading, Creating, Connecting: shaping a place to be proud of Townsville Community Plan 2011-2021. 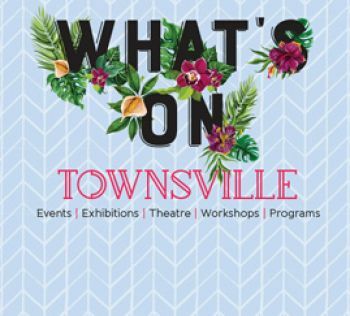 Community Development have prepared the Community Development Strategy 2014-2017 to further develop relationships with the Townsville community. This document, which has replaced the existing ten strategic action plans, aims to guide decision making for Community Development over the next three years. IRIS Research was commissioned by us to conduct a comprehensive telephone-based survey among the area’s residents. The survey sought a range of resident attitudes and opinions as input to our ongoing strategic planning and quality improvement process. This guide has been developed to assist people to access the various shops, restaurants, attractions, and services Townsville has on offer. It also helps to identify appropriate and accessible accommodation. It is a valuable tool for everyone with limited mobility including people with a disability, seniors, and parents with strollers. In conjunction with the Queensland Government, we have assisted Drive It NQ in carrying out a research study on the preferred site for developing an integrated Driver Education and Motorsports Precinct in the Townsville Region. On 11 November, Council have approved terms that clear the way to finalise lease arrangements with the Drive It NQ over land on council-owned property at Bidwilli Rd - near Woodstock as the preferred site for the precinct. Media Release. The councils of Townsville, Burdekin, Charters Towers and Hinchinbrook not only collaborated together but also engaged with the local communities to develop the NQ Regional Waste Reduction and Recycling Plan. The plan sets out how our local communities will manage waste in the future. The Plan aims to provide a coordinated approach to promote waste avoidance and reduction, encourage efficiencies across the council regions and modernise waste management.